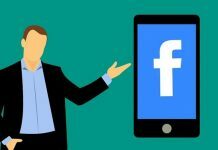 Managers and directors are interested in putting their businesses onto Facebook and the like because they know it’s the New Thing and that if they’re not on it then they are not taking full advantage of web 2.0. Unfortunately they often don’t understand the properties of social media and expect it to be another platform by which they can introduce their brand to consumers. Social isn’t about that. It’s called social media because that’s what its supposed to be; a means of communication and interaction between people throughout the world. If you want to get on in social you have to be sociable. Offer tips and tricks, tell people about your experiences and skills that you’ve picked up, don’t keep things to yourself. And, weird as this may sound, don’t keep Facebook to yourself. What I mean here is let your staff use Facebook during work time. That’s an almost unheard of strategy but people will only abuse it as much as they abuse their time by the water cooler, canteen or gossiping and sending email to one another around the office. Introduce it gradually and you’ll see that as outreach it’s a fantastic way to communicate with your customers and service users. If you’re a senior partner don’t be aloof but become a fan, friend your staff, as well as many other benefits you might get some unexpected insight into your business. 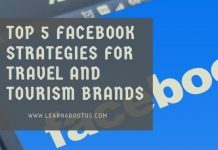 When you put your business on Facebook you aren’t just looking for friends and likes, you want there to be a conversation. The bottom line here isn’t numbers, it’s content turnover. If you’ve got a buzz going in your chat spaces that can be far more valuable than thousands of ‘friends’ who never visit. Get involved in those conversations and be controversial, take a stand, get the discussion moving. Disagreements are interesting and are far more productive than replying to something with “Yeah, I guess..” for fear of upsetting anyone. Another sneaky advantage that you will see from making your site available to log into via Facebook’s API is that you’ll get to see primary source, accurate details of their likes and dislikes, their demographics and lots of other lovely CRM data without the irritating expensive third party privacy riddled inaccurate data that you might find yourself using otherwise. Facebook also gives you access to your business partners and competitors. Since it’s social it’s acceptable to friend your market enemies as well as your suppliers, distributors and various other business partners. Getting along with these people, as well as your end users can save you an awful lot in market research and R&D, you see? Social really isn’t just another selling platform. Whatever your line of endeavor you’ll find advantages in getting involved gives you a well structured consistent corporate voice and profile. Missing out on social media or only using it for sales means that you’re denying yourself a means of outreach which can touch hundreds of millions of people, as well as using it to communicate your message out, you can also use it to receive incoming messages. 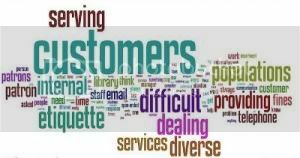 Dealing with customer complaints and issues that arise before they make it to the stages of an official complaint lodged with your industry’s ombudsman. Indeed, taking complaints on Facebook can be made part of your customer satisfaction and PR strategy. If and when some-one drops a complaint, deal with it as publicly and openly as possible. To be seen to be doing something about a problem that some-one is having can be very valuable for your PR. No one would believe that you never had to field complaints so doing it in a public forum shows that you really care about your customers’ experience. In fact, so valuable is it that it could be worth inventing minor problems so that you can solve them just to make you look even better, even if you’ve never had a real complaint in your entire career! 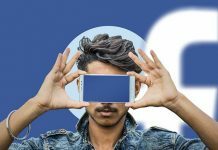 Using new technology might seem like jumping on the latest band-wagon just because everybody else is but pretty soon anyone who hasn’t become fully engaged in social will look like a dinosaur. Getting involved now will inform your strategy for years to come.